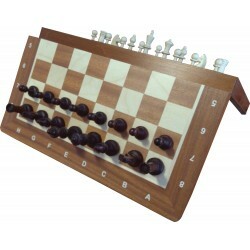 Magnetic and demo There are 16 products. 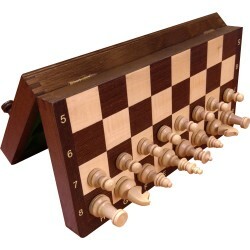 Modern, handy travel chess in your pocket. 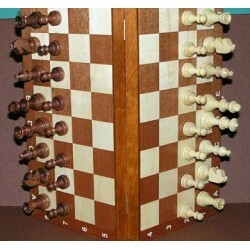 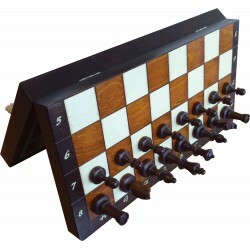 The perfect companion for every chess player! 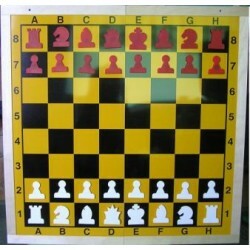 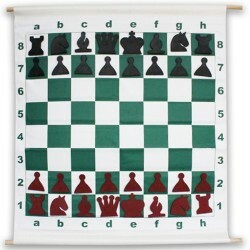 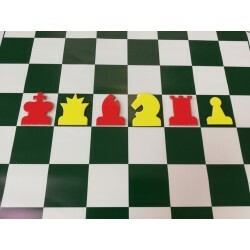 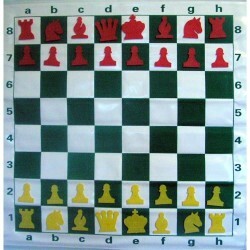 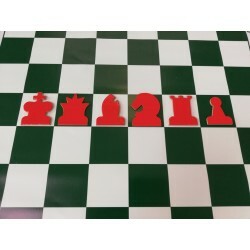 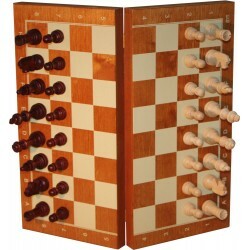 Made of plastic with surface in attractive leather look.Magnetic figures in lens shape with easily readable characters.The travel chess set is collapsible for transport. 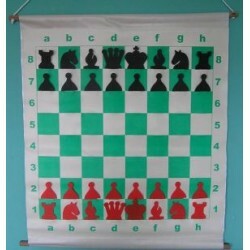 size 27 x 13,5 x 4 cm, King 55 mm, felt base, playing field 28 mm, weight 0.60 kg, colours: brown, mahogany, green, blue, black. 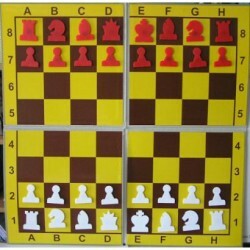 Figures have very strong magnets and are stuck with felt.Chessboard folded in half. 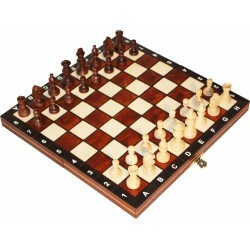 size 27 x 13,5 x 4 cm, King 55 mm, felt base, playing field 28 mm weight 0.60 kg, colours: brown.